Here is an update on that analysis, with full year data for prior years and year-to-date (through August 15) data for 2018. The relationship between 1A North and 1A South had been fairly consistent over the years, with 1A South ~7% premium to 1A North. That has compressed to be only 2-3% since 2016. Tarrytown sold price / sq ft has generally commanded, on average, ~27% premium over Highland Park West / Balcones Area since 2010. That premium is ~21% so far in 2018. 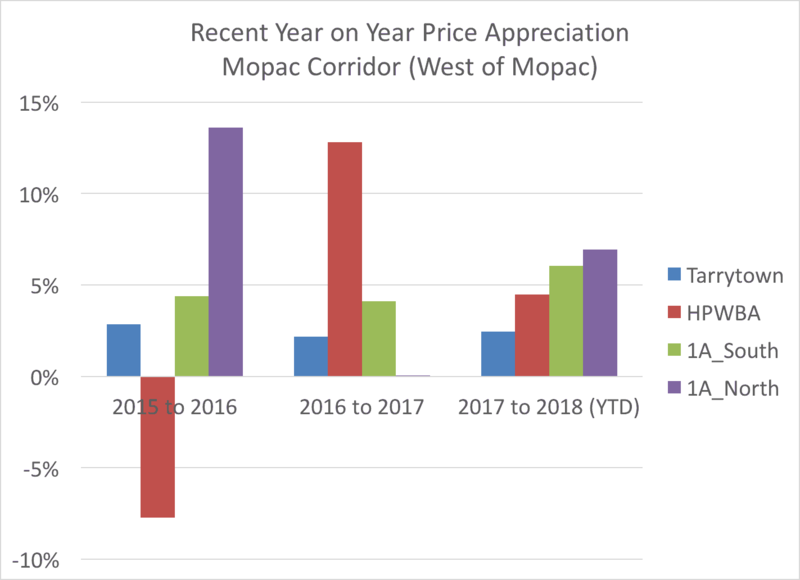 The below graph shows year on year appreciation in price / sq ft in each of the 4 areas described above. 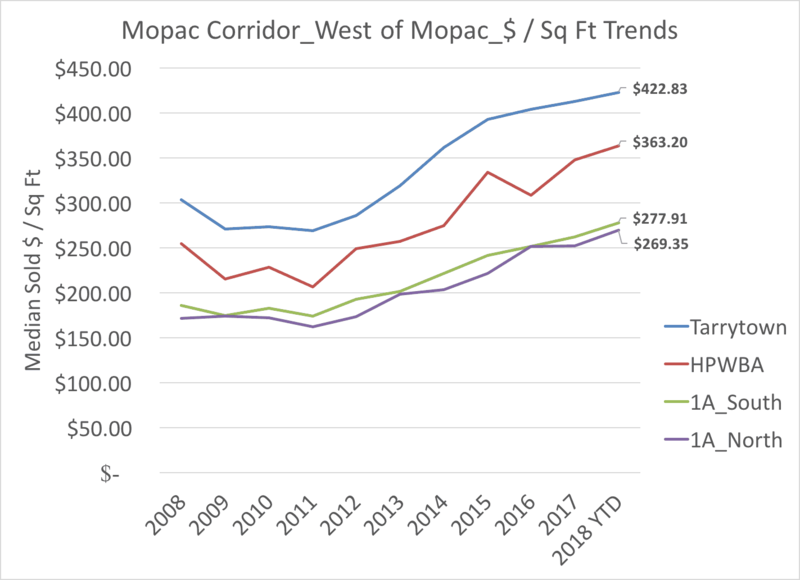 Note: All data comes from the Austin Board of Realtors’ MLS report, reflecting activity through August 15, 2018.